The documents below are a snapshot of the quality of the water that we provided the last 5 years. Included are the details about where your water comes from, what it contains, and how it compares to Environmental Protection Agency (EPA) and state standards. We are committed to providing you with information because informed customers are our best allies. 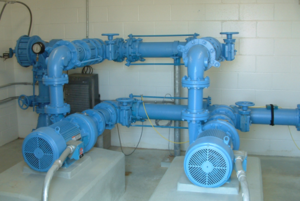 It is important that customers be aware of the efforts that are made continually improve their water systems. To learn more about your drinking water, please attend any of the regularly scheduled meetings which are held: The first Tuesday after the first Monday of each month at 7:00 P.M. at the Water District’s Office located at 15520 Crestwood Dr. Basehor, Kansas. For more information and the time of the meetings please contact, Paula Johnson or Cindy Sorensen at 913-724-7000. The office closed from 12:00 to 1:00 pm.